Her goals when working with a seller is to make the process as effortless as possible. “Buying or selling a home can be stressful, so I try to take away as much pressure from your arena and move it into ours. I want to provide you with the best service and exposure and good pricing so that you’re not on the market very long.” With buyers she wants to find her customers the best possible home that fits their needs at the best possible price. Named 5-Star Real Estate Professional for 2019 – 12th Year! Before you make one of the most important decisions of your life shouldn’t you become as informed as possible and know something about me and how I work? I have over 29 actual “licensed” years of real estate experience. I lived in the Pacific Northwest for over 25 years and worked for a top rated real estate firm called Windemere Real Estate. I have been licensed in Florida since 2005. I have a ten year plus background in commercial banking and graduated from the University of Washington with honors and attended Bastyr University for my Master’s Degree. 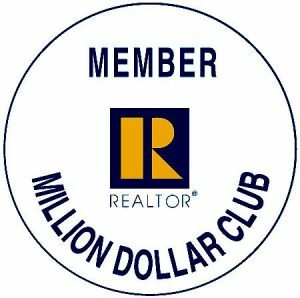 I am a Broker Associate and also have my CRS, REO and RE/MAX Hall of Fame designations. I was voted as one of the top 7% FIVE STAR Real Estate Professionals from 2007 to 2019: Best in Client Satisfaction for Real Estate Agents in Sarasota–as seen in SARASOTA MAGAZINE! In March of 2007, I ranked 7th Top Sales Producer among all RE/MAX agents for the ENTIRE State of Florida in March 2007 and then 40th Top Sales Producer for April 2007. And again, I ranked 60th Top Sales Producer for 1st quarter in 2014 for RE/MAX in the ENTIRE State of Florida! 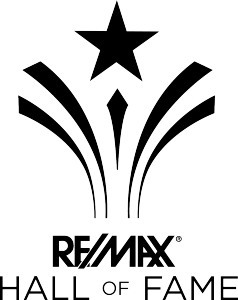 I achieved the RE/MAX HALL of FAME award in 2013. You are more than welcome to see my stats. Locally, I served at the Realtor Association of Sarasota and Manatee, formerly Sarasota Association Board of Realtors. I served on the Realtor Code of Ethics Committee: Grievance and Professional Standards Committees, Rules and Regulations Committee, MLS and Vendor Services Committee. I am dedicated to improving the quality of relationships between other members and the public. In my own neighborhood, I served as Board Secretary to my Homeowners Association. I understand how associations operate. I have a wonderful team helping me to provide you with the outstanding customer service you deserve. David Warfield is our Operations Manager. He is my business partner and fiancee. Cathy Winski is our top Sales Associate who works with buyers and sellers. Janet Ashby is our dedicated RE/MAX Office Manager. Jack Cork is our Transaction Manager. JR Zamora is our Marketing Director. We have various other Business Partners, Computer Consultants and Independent Marketing and Design Consultants who also work directly with our team. 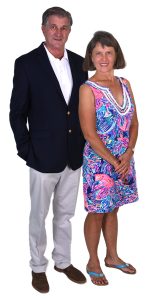 The Anne Thomas Group lists and sells property in both Sarasota and Manatee County and various surrounding areas! We are the #1 home selling team in our office to call. As published in the local news paper “The Observer”, I have been named the top selling agent and listing agent in my office. I believe that your home sale should flow as smoothly as possible from start to finish. By aligning yourself with the right top producing real estate team, you are ensured that all your important issues are handled properly and professionally. Call Anne today at 941.993.7700 and Start Packing! YOUR REFERRALS HELP SAVE PRECIOUS HUMAN LIVES and THE RACING GREYHOUNDS! The Anne Thomas Group donates a portion of our commissions to Justin’s Place which is an addiction recovery program supported by the St. Matthew’s House Homeless Shelter located in Naples, Florida and to Greyhounds Pets of America. We are on a mission to raise $10,000 to go directly towards tuition to help some person with an addiction get the help they need. Justin’s Place is a program that really works! Due to the recent law that passed shutting Greyhound Racing down at all Florida Race Tracks, we are also on a mission to raise $10,000 for Greyhound Pets of America so they can pay for vet bills and transport Florida dogs to rescue groups all over the country.